An extremely versatile and productive line which can incorporate one, two or three work stations for the manufacture of products up to 8 mm thickness, e.g. : diaries, calendars, notebooks, exercise books, children board books, which can be saddle stitched, square back or perfect bound. 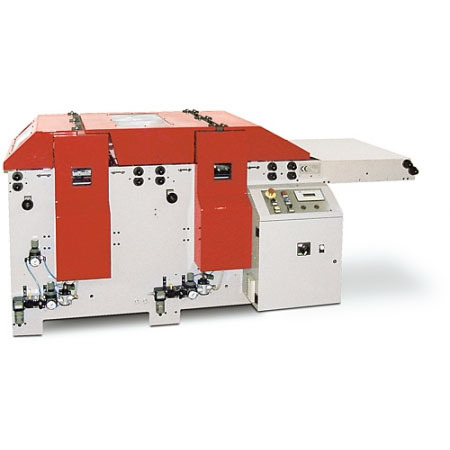 Ideal for operation in-line with sheet folders or saddle stitchers to perforate and/or cut (with or without trim out); or off-line with separate feeders.